When a patient has a deep bite, the lower teeth seem to disappear behind the upper teeth. It can range from 50% lower teeth ‘disappearance’ to more than 100% when the upper front teeth overshoot past the lower teeth! Over time, the lower jaw swings upwards and fowards and the chin appears more prominment. The face experiences premature aging by getting shorter and more squashed than before. Adult patients often find their lower front teeth getting smaller, shorter and fillings seem to wear out or chip off easily. By getting their deep bite fixed, patients restore their natural, younger vertical facial height and get a ‘face lift’ effect. Children with deep bites have the advantage of youth and growth potential. 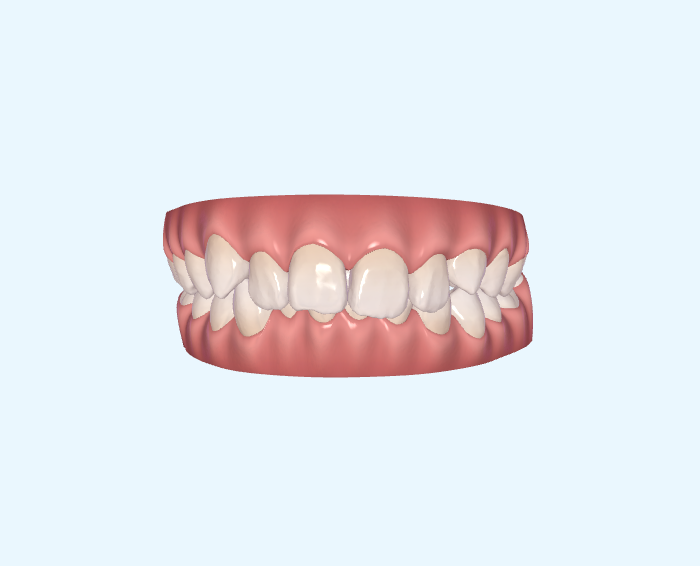 We can apply Interceptive Orthodontics to change their face and the way they bite.